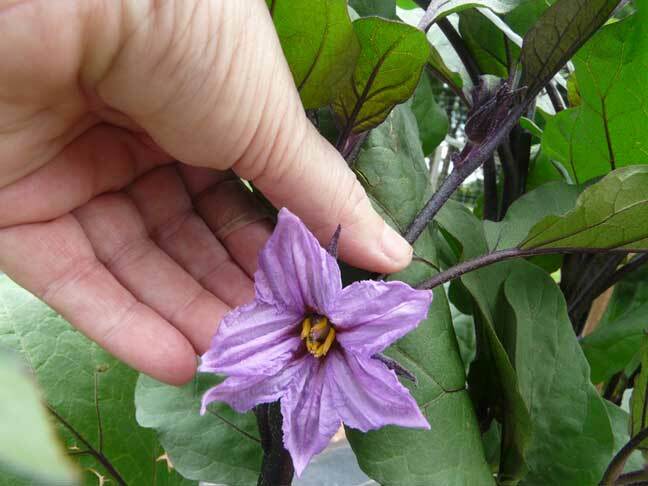 3 July 2009 - This is a Eggplant blossom. Interesting color, isn't it? This blossom hangs straight down, which is why I've got my hand in the photo.